The Faculty of Technologies is an amalgamation of Business Education and Craft and Design Departments. 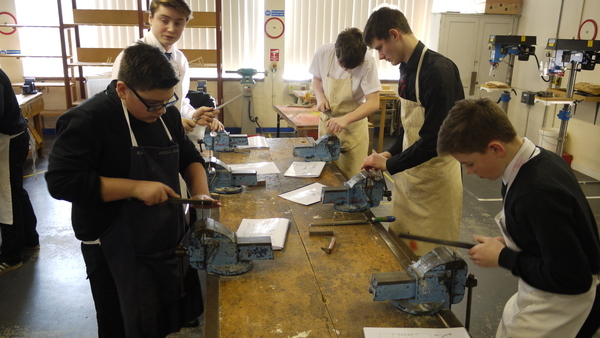 As well as delivering courses studied in years S4 to S6 which are assessed nationally, the Faculty has a lead role in offering a broad general education to pupils in S1-S3. 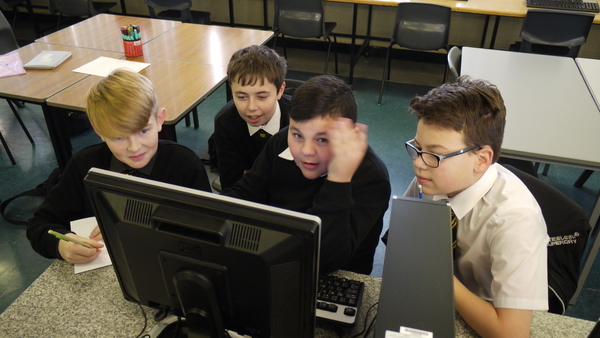 In S1 through to S3 the department undertakes the delivery of core skills in Information and Computer Technology, Business Awareness, Business IT, Practical Skills, Graphics and Enterprise and Design. 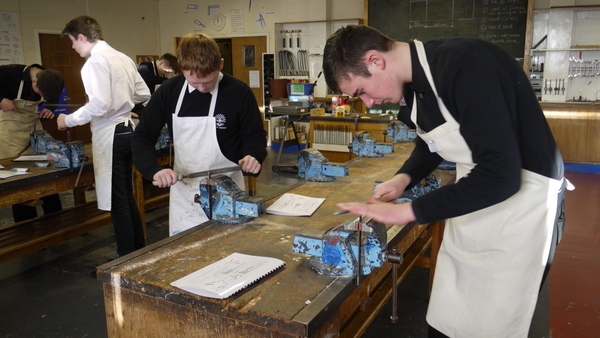 All first year pupils take part in an Enterprise interdisciplinary project with Art and Design and Home Economics. 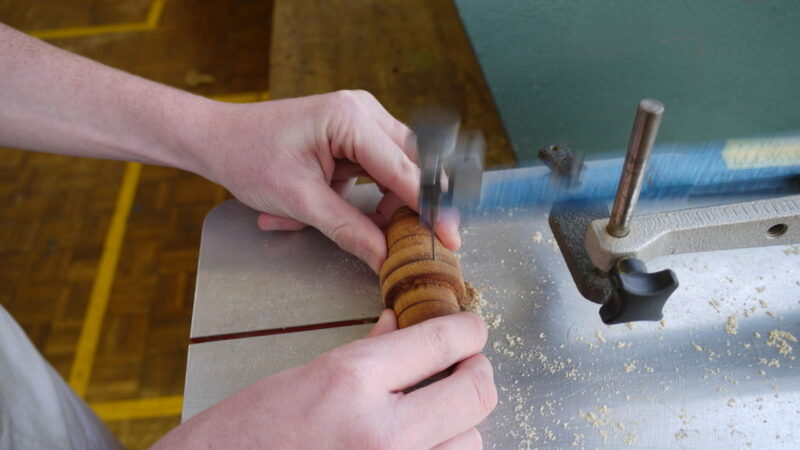 Pupils are given the opportunity to set up their own business culminating in making a product to be sold at the Enterprise Craft Fayre Day as part of the Enterprise Project. Faculty staff believe in encouraging an enterprising “can do” attitude in its pupils, in helping them to be confident individuals, successful learners, effective contributors to society and responsible citizens in an ever changing world. This Department delivers a number of business orientated courses including S3 Business Awareness, S3 Business Information Technology, National 5 , Higher and Advanced Higher Accounting, National 4, National 5 and Higher Administration and IT, National 5 and Higher Business Management and National 4 Business. Accounting is a key function in all organisations. Without effective accounting procedures and accountants to provide timely and relevant information to management, organisations may perform less successfully than they otherwise might. Studying Accounting will enable you to acquire the skills and knowledge necessary for understanding and taking part in the world of business. Even if you are not planning a career in business, this subject helps to improve your personal effectiveness by developing your ability to think logically, work accurately, make decisions and solve problems. 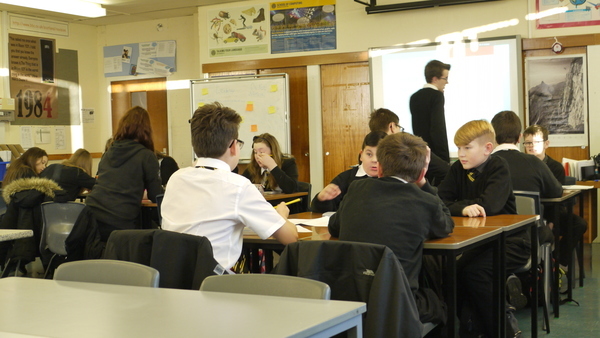 In addition any course in Accounting will help pupils to develop skills to help them manage their personal finances. 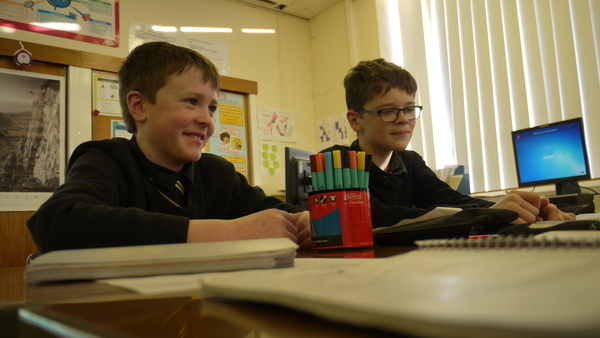 Ultimately pupils could use the skills developed through studying Accounting within their own business and also through continued study at University to become an Accountant. Accountants help organisations to succeed. They develop effective accounting procedures and provide financial information to management. The course has three compulsory units, plus a added value unit . Assessment is by continuous assessment throughout the course and also by completion of an exam and an assignment both are externally marked by the SQA. The course has three compulsory units, plus an added value unit . Assessment is by continuous assessment throughout the course and also by completion of an exam and an assignment both are externally marked by the SQA.. The course has two compulsory units, plus an added value unit . Component 2 – Project (60 marks). Administration is a growing sector which cuts across the entire economy and offers wide-ranging employment opportunities. Courses in administration are designed to help you to understand and take part in the business and information environment. Learners will gain skills in managing information, organising, planning, problem solving and decision making. All successful organisations need staff to deal with daily business activities. These include keeping accurate records and organising the flow of work. Administration and IT develops the learners’ ability to handle information, to decide priorities, solve problems and make decisions. These skills are valuable in almost every career sector. Assessment is by continuous assessment throughout the course and an Administration & IT based Assignment . Assessment is by continuous assessment throughout the course and an Administration & IT based Assignment. Assessment is through an external SQA Exam and internal NAB assessments. Business plays an important role in society. Business Management gives learners the skills, knowledge and understanding needed to understand contemporary business. Business Management helps you to gain an understanding of the dynamic, changing, competitive and economic environment of industry and commerce. It develops skills in communicating and presenting business-related information, in a variety of formats, to the various stakeholders of an organisation. Business Management aims to highlight the ways in which organisations operate and the steps they take to achieve their strategic goals. This is achieved by combining theoretical and practical aspects of learning through the use of real-life business contexts. The skills, knowledge and understanding will be embedded in current business theory and practice and reflect the integrated nature of organisations, their functions and their decision-making processes. Assessment is by continuous assessment and through completion of the Business Assignment. There is also a value added unit – Business Assignment . Assessment is by continuous assessment throughout the course and also through an SQA external exam. Assessment is by continuous assessment throughout the course, NABs and also through an SQA external exam. This course centres around the use of Information technology in a business environment. This course uses the various IT packages namely word processing, spreadsheets, databases, desktop publishing and presentation software. It looks at the work of an events organising type of business. Throughout the course pupils will be given the opportunity to learn about how businesses use Information Technology and the benefits it brings especially when organising events. This course will centre around the main functions of business: organisational structures, location, functional departments, decision making, financial concepts accounts and information technology. This will be explored in detail in order for pupils to theoretically set up their own business. Learners will learn this through working with real life businesses. CoPE 3 provides a framework for the development, assessment and accreditation of generic and wider key skills and wider activities, through a nationally recognised qualification at Level 3. The qualification offers imaginative ways of accrediting young people’s activities. 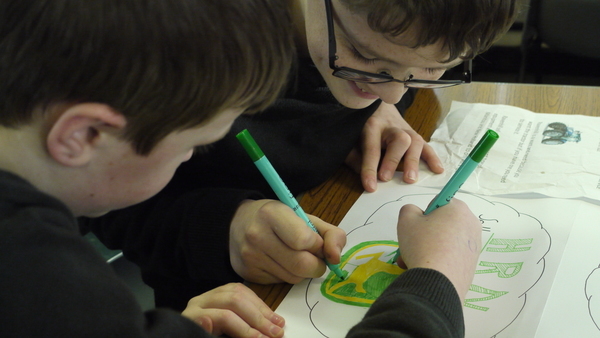 It promotes, and recognises achievement in a wide range of personal qualities, and achievements as well as introducing them to new activities and challenges. students portfolios are internally moderated, however students also sit an external exam. packaging. Graphics convey information clearly and there is no problem of language creating difficulties for the reader. The course covers different aspects of graphics including computer work and drawing in many forms. It is useful if learners are interested in a career in architecture, surveying, engineering or design and marketing. DTP design principals, layout and terminology. Graphic literacy including standards conventions and terminology. 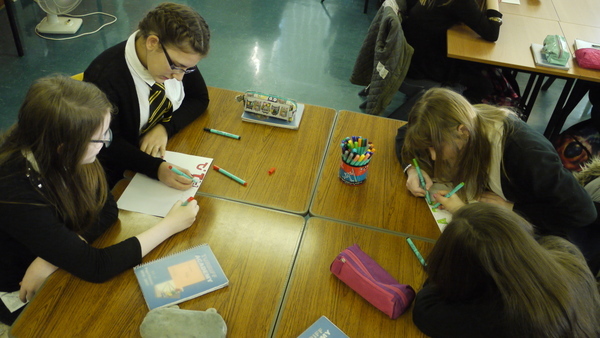 Graphic capability including drawing, analysing, evaluating and planning. In National 4 assessment is by continuous assessment and through completion of the Value Added Unit. In National 5 assessment is by continuous assessment throughout the course completion of Assignment and also through an SQA external exam. 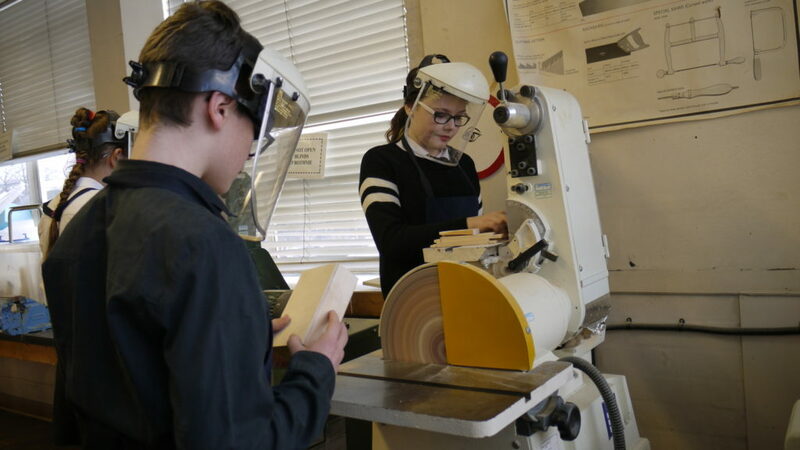 Product Design is aiming to help develop creative, flexible learners who are able to work autonomously, to achieve good quality, feasible proposals or outcomes through active experiences of product design. At the heart of product design is creativity. Product Design, develops the ability to apply skills and knowledge in different situations — attributes which are becoming more and more valuable to individuals and organisations. 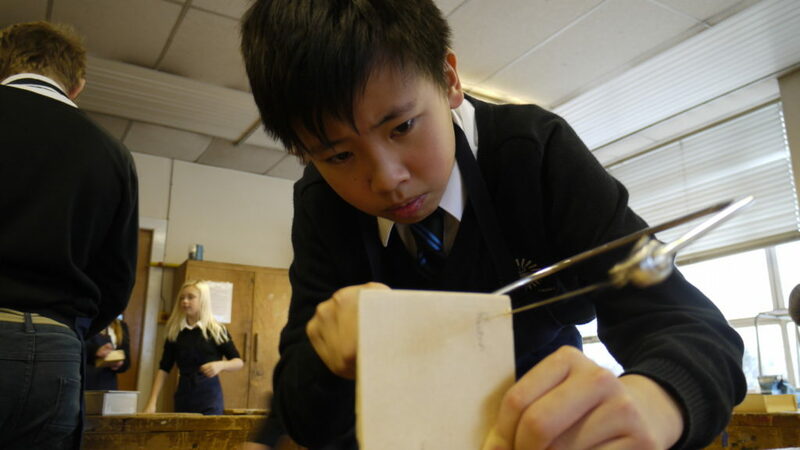 Product Design allows learners to explore the impact of design and technological activities in everyday life. 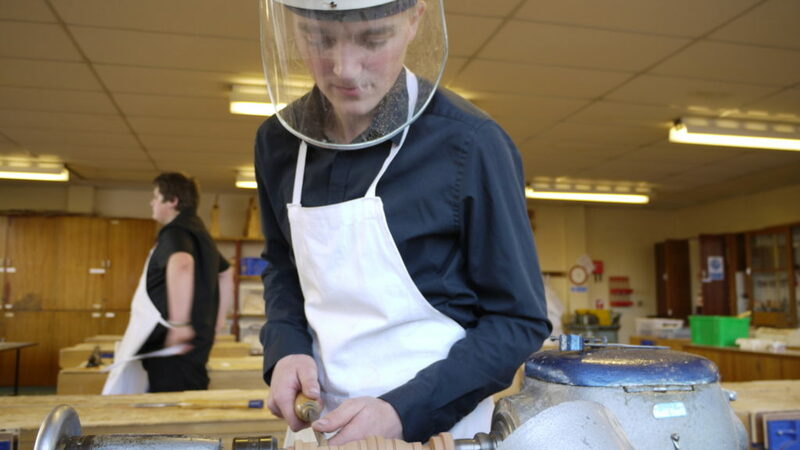 Learners will consider the complete life of a product, from its initial conception, through manufacture and marketing, to its impact on society. Assessment is by continuous assessment throughout the course, completion of an assignment and also through an SQA external exam. 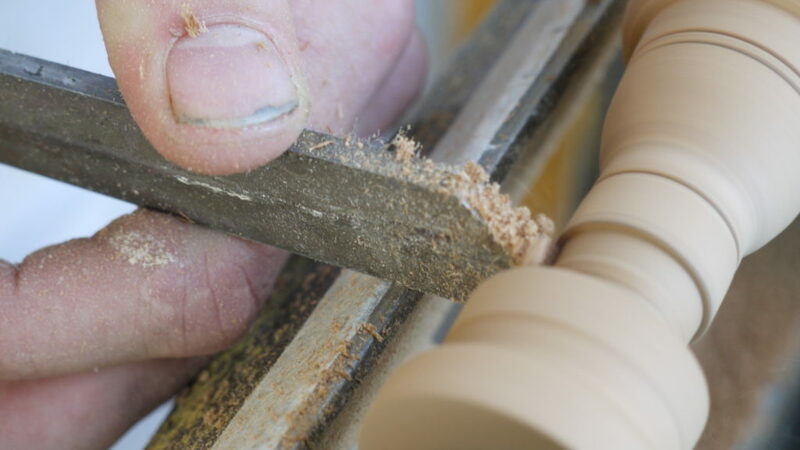 This is a practical course that requires the knowledge and understanding of materials, tools and processes. Members of the design team. Pupils need to justify and give extended responses. Better prepare pupils for Higher. National 4 Added Value Unit is assessed internally in accordance with SQA guidelines. National 5 course assessment consists of a question paper which is issued by the SQA and marked externally . As well as this you have a course assignment which is issued by the SQA and marked internally in accordance with SQA guidelines. This is a practical course, particularly suitable if you are hoping to have a career in the construction industry. It may also be useful to you if you are interested in learning about materials and technology and in developing craft skills as a hobby. 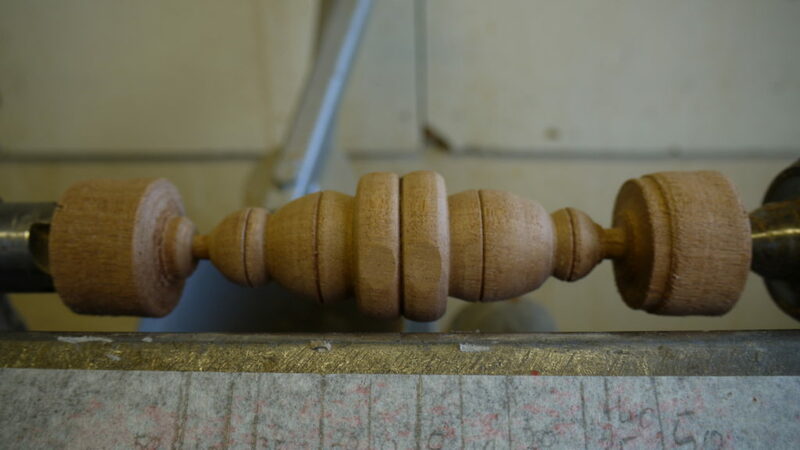 Making things from wood gives you a sense of achievement and the course in general helps to build your confidence and self-discipline. In National 5 assessment is by continuous assessment throughout the course and completion of the assignment. 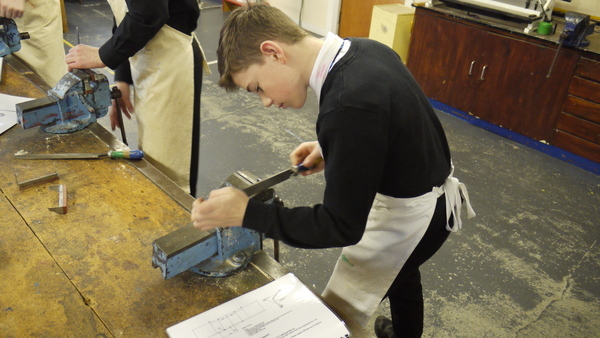 In S3, learners work on developing their woodwork and metalwork skills. 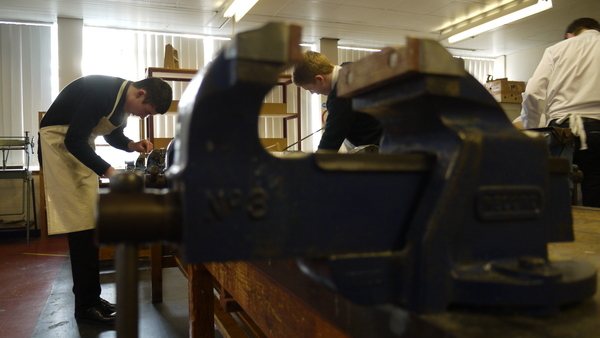 For woodwork they are taught how to make a mirror frame, whilst through metal work they produce a shovel. 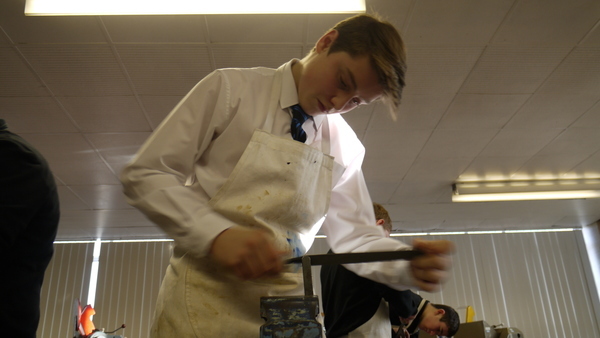 In S3 learners are shown how to design and make a mobile phone/MP3 player holder. 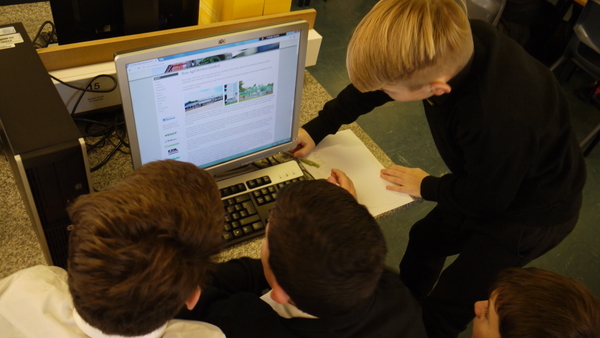 They also produce and draw out designs using boards and work with IT using the Inventor website. 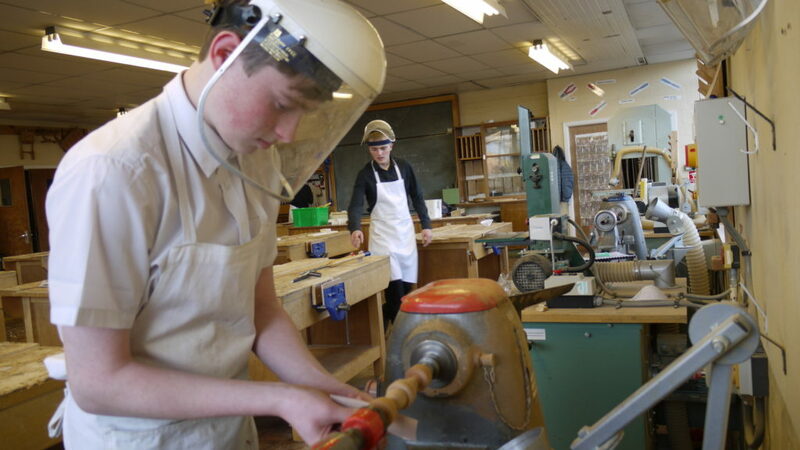 Learners are taught practical skills using woodwork, metalwork and electronics. Learners produce a hand steady game with an electronic buzzer. They also make a desk tidy. 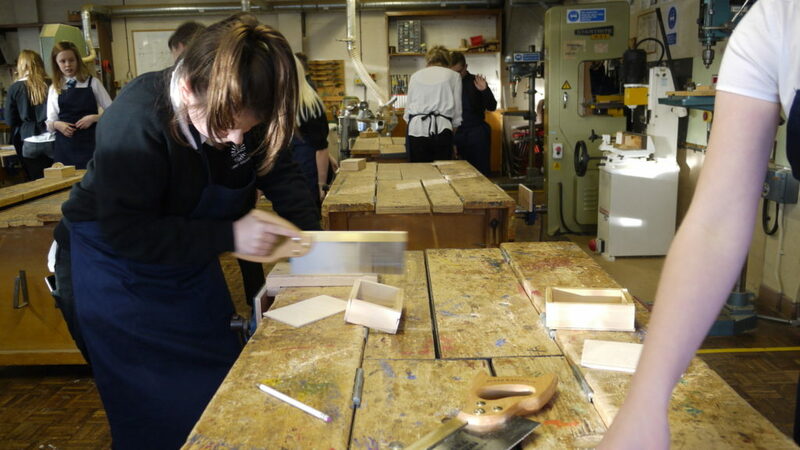 Learners are taught practical skills using a mixture of woodwork and metalwork. 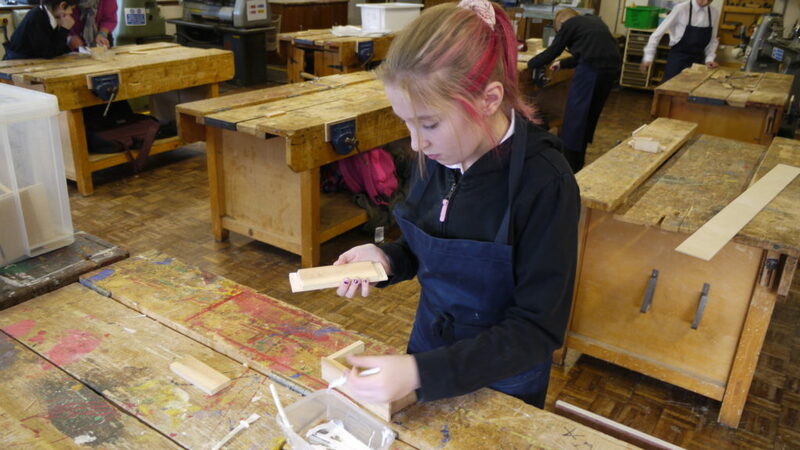 Learners make a trowel and a trinket box.